How To Acuminate Instagram Strategy For Your Clients ? In order to run a business successfully, it is important to nurture good relationships with your customers. In this age of technology and innovation, focusing on your target audience has become more crucial. With a vast array of social networking sites coming up, targeting your online customers has never been so important. If you are planning to use Instagram as the marketing channel for your business, make sure to optimize it for your digital marketing campaign. The best thing about choosing Instagram as your marketing channel is that it has been tailor made to suit marketing needs of different entrepreneurs. Instagram is a social media platform that makes it easy for entrepreneurs to let the world know more about their business. The Instagram’s tagline “Capture and Share the World’s Moments” defines it all. The users can use it and optimize their reach to make it easy for their clients to access their services. This social media network comes with a wide range of benefits for personal and professional avenues, so make sure you advertise your services over this social media network and increase your reach. 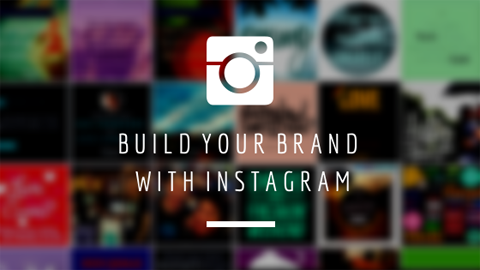 The first and foremost thing while optimizing Instagram for your customers is to create a profile. In order to attract your target audience attention, include all the important information in the profile account. Interested clients would like to know more about your business and by including the contact details, you are making it easier for them. While creating the profile, remember to include company’s logo for easy identification. Nobody likes to do business with a ghost company and uploading your company’s logo or images, increase your business credibility. Moreover, you must convey a meaningful message through your profile description. While creating your Instagram profile, you must remember that you are not only creating it to promote your business, rather the profile is being created to engage your customers. Do not make similar Instagram post, rather choose to spice up the things a bit. Your customers are always looking for engaging and interesting posts, so offer what they are looking for. To make the things interesting, you can post a picture of your product and ask the customers what they think about it. You can even encourage your followers to give their feedback as this will help to boost product engagement. So make your Instagram posts actionable and fun and increase customer’s involvement. If you are using Instagram for the first time, no one would be following you right now. Therefore, your primary goal should be to increase the number of followers. The more followers you have, more popularity your business will gain. To achieve a large number of followers, you can look for Instagram groups or users that have the same interest. You can start following the people who share relevant interest as your business. You can even search for social influencers and start following them. Social influencers generally have a huge fan following and they generally have a strong influence on their followers. Respond to every comment that is made on your post. This will help your followers to know that you are serious for your business, and they may eventually convert into prospects. Instagram users love to share and discover other people’s talent. If you are using this channel to promote your services you need to make the finding process easier for your customers. Hashtags can be used to place the content in front of your customers. Make it easy for the people who are actively searching Instagram to find your services. You can use as many hashtags as you like as there is no specific number. Use some popularly used hashtags so that you can easily relate to your target audience. Choose different hashtags that can define your services easily. You can even use a hashtag after every single word, however, make sure that they do not look out of place. As the famous proverb goes, “A picture is worth 1000 words”, so make sure that you optimize the images to engage your customers well. Customize the images and optimize them so that they can be conveniently viewed on a high resolution. You can even add a description to the images. Instead of using single colored image, try to post colorful images that can easily attract your customer’s attention. Images can also be used to tell stories and increase customers’ engagement. If you are dealing in the food business, you can tell a story with the help of different food dishes. However, do not over flood your customers with tons of images every day. Rather choose to show off your products in a well-planned manner. Do you know that a sponsored post on Instagram can increase your viewership? In the modern-day world where the latest technology trends are helping platforms attract new users, Instagram is increasing its reach using the most advanced ones and thus it has become easy for different sized businesses to advertize their services. If you want to reach out to your target audience, make sure you create a bank of images. However unlike Facebook, sponsored posts do not guarantee followers or likes. Moreover, with Instagram sponsored posts, you cannot even target people belonging to a specific demography. Sponsor stories do not come with many benefits, however, they are worth giving a try. You are using the Instagram to advertise your services, however, you can even reward your customers to increase the number of followers. Offer incentives or give special discounts to your followers. You can even hold a contest for your Instagram followers or promote your services through Instagram-only contests. The most important aspect while optimizing Instagram for your customers is to track your efforts. Instagram allows its users to place a link of your website in the bio section on the profile page. Further, you can use different tracking methods to check whether your Instagram efforts have paid off or not. Social media marketing helps you to reach out to your customers easily, so make sure you use it to enhance your business reach.